In healthcare and other industries, keeping the succession pipeline filled is essential to organizational success and longevity. Healthcare institutions must bear in mind that a valued leader can retire, quit, be let go, or become ill or disabled at any time; thus, being ready for changes in leadership is both prudent and forward-thinking. In this particular endeavor, a proactive strategy is much preferable to a reactive one. If we accept the necessity of keeping the succession pipeline stoked, what are steps that a thoughtful healthcare facility can take in order to assure relatively seamless transitions of power and leadership at pivotal times? There is no ironclad playbook for this endeavor, but certain strategies can keep the pipeline populated with talented individuals who are ripe for advancement and increased responsibility at some point in their tenure as valued and effective team members and employees. As nurses and other clinicians well know, the first step in any thoughtful system often involves assessment. Gathering data allows us to compare, contrast, and choose from the information that is collected. Optimally, succession pipelines and the framework of actions to fill them should be reviewed, evaluated, and tweaked according to the evolving needs of the organization and changes in the available talent pool. Flexibility is key, and this is not simply about a spreadsheet that lives on a hard drive somewhere — this pipeline should be a living breathing document and process that breathes life into the future of the institution creating it. Nurturing intrapreneurs: Intrapreneurs are employees who go above and beyond, take true ownership of their place in the organization, think creatively and autonomously without circumventing chains of command, and offer viable solutions that address real-world issues. Intrapreneurs are worth their weight in gold. Forming a team/committee/board whose responsibility is creating, implementing, and consistently evaluating the adopted approaches to keeping the pipeline robust. This group should consist of rank and file employees, leaders, HR, administrators, and other members of the team. All input is valuable. Identifying strategies for filling the gaps: Each institution must create its own strategies for finding and defining current and future gaps in leadership, as well as the candidates who may be the best option for filling those gaps. Continually refining pipeline strategies: No strategy should be permanently adopted without systematic evaluation and updating. Actively developing and mentoring leaders: Identified candidates should be ushered into a formal or semi-formal mentoring system. Allowing for generational differences: baby boomers, millennials, and Generation Xers all have their idiosyncratic views and opinions regarding employment, loyalty, and the meaning of leadership and career mobility. As one generation ages out and a new one steps into the gap, strategies and processes must be adopted to the newly emerging generational paradigm. Assessing how other companies keep their pipelines robust and progressive. Continuing to assess the external talent pool without passing over internal talent. Recruitment should be an ongoing and active strategy. Progressive, forward-thinking leadership is key to organizational success and longevity. Close-mindedness mired in outdated strategies will falter in growth and relevance if the evolution of leadership is allowed to stagnate. 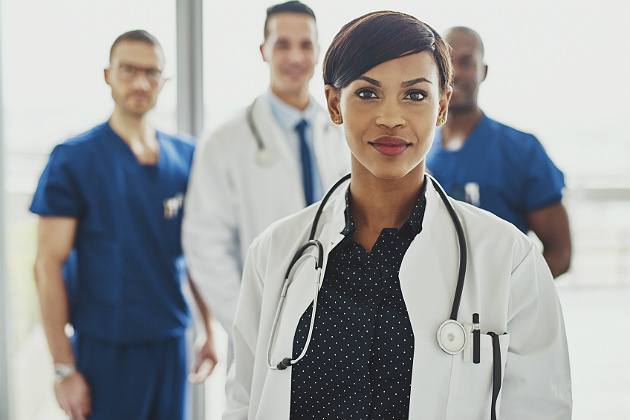 The individuals or group who are responsible for keeping the leadership pipeline stoked must be empowered to think and act creatively, with a mandate to act nimbly in the face of the changing world of 21st-century healthcare. The health of any institution depends upon its ability to nurture its future through planning, the cultivation of a positive workplace culture, and a nimble and productive methodology for the stoking of the leadership succession pipeline.